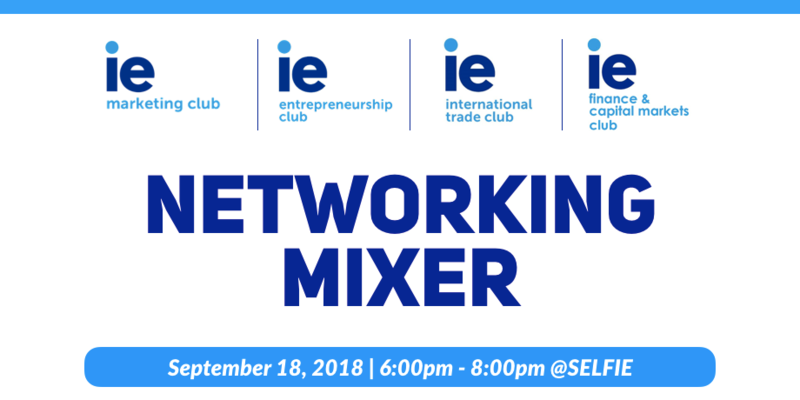 First Networking Mixer co-hosted by IE Marketing Club, IE Entrepreneurship Club, IE International Trade Club and IE Finance Club. If you are a new student, join us to meet our clubs and discover what we do. If you are February intake, join to know what we have planned for 2018 and network with other IE marketers, entrepreneurs, traders and financiers.